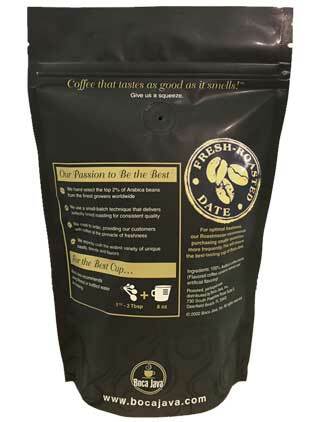 Our single origin, 100% USDA Certified Organic coffee from Peru is an exquisite light to medium roast coffee. Throughout 2018, a portion of proceeds from each of our Peruvian single orgin and coffee blends sold will benefit the rebuilding of the school in one of our Peruvian farming communities. To learn more about the project, please visit theshoolthatcoffeebuilt.com. Always a fresh roasted coffee, Pure Peruvian Organic is made from the highest quality coffee beans. It has a nutty character and aroma with subtle hints of chocolate and a nice, long finish. 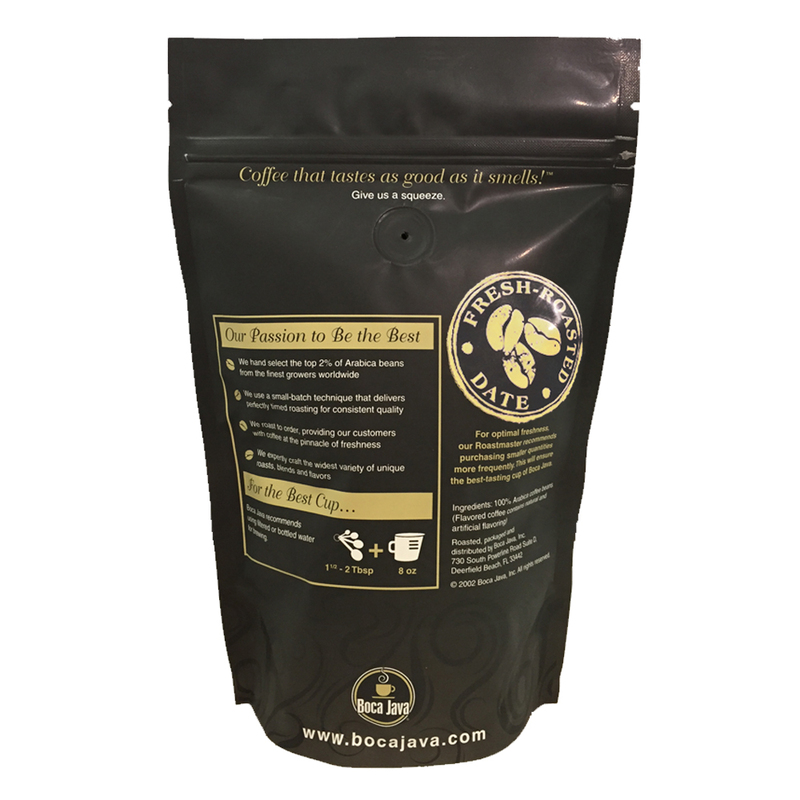 Simply the best Organic coffee you will ever taste. If you enjoy our Peruvian coffee, our Roastmaster suggests you also try our Rainforest Alliance certified Panamanian Rainforest Coffee. For other coffees doing good for the world, take a peek at our other Certified Coffee. Pure Peruvian is our 8th most popular single origin coffee subscription by our Coffee Club members. Learn more about our Coffee Club & subscribe to your favorite coffee! This is the coffee I always keep on hand. This coffee has been my go-to selection since I first tried it. It works for every occasion. I use a French press exclusively, so I can't speak to other methods....but I cannot imagine a bad cup of coffee no matter what prep method is used. This selection is mellow, smooth and, well....just perfect. Thanks Boca Java! I buy at least one a month! I have been grinding my Boca Java for 9 years! Love ! This organic, Arabica, which is harvested in Peru, excels all high-quality coffees that I've purchased either locally or online. Buy a bag (or two) and see for yourself. This has become my daily! I absolutely love dark roasts, but the depth of flavor in Pure Peruvian has won me over to the lighter side. The balance of flavor is incredible. Even after reheating, I don't find this coffee bitter. Strong enough to bring out a bit of chocolate and nut flavors, but not overpowering. My absolute favorite coffee from Boca Java. I like a coffee that is between a medium and dark roast. This coffee fits the bill. It has a wonderful rich aroma, but is not overly bitter. Smooth taste with no after taste. Both my husband and I LOVE it! This coffee is just excellent and a staple in my coffee cupboard supply. It hits all the right notes for me, and I never get tired of it. Absolutely delicious and smooth tasting coffee. Great flavor and aroma. I love this coffee from Peru-it's absolutely my favorite! Love this stuff. A favorite. Great cup every time. Smooth rich taste. Love the smell of freshly ground coffee. If you are looking for a great, tasteful, organic and amazing coffee try this one, you will love it!! This is my favorite so far. I will buy it again! I have not purchased any of accessories at this time. Buying this one again. I recommend this one! Best coffee, I will buy this every month from now on. I use a French Press. Grind the beans myself. Love this product. The best tasting organic coffee. I LOVE it! I am buying this product on a regular basis. I was a Gevalia customer for many, many years and purchased their Peruvian Organic Coffee. They discontinued that product and replaced it with one I did not like. I went on a search and gratefully found your coffee. It is smooth, aromatic and flavorful. I am so glad to be your customer. this is the only coffee that I will drink, my whole family is hook on this brand, not only that it is organic it has the best mild smooth flavor to it. Please don't stop selling this brand because I have tried several of coffees you offer online, but none of them come close to the organic Peru coffee. By far my favorite coffee on this site. Perfectly balanced. Not to acidic like some of the others I've tried. And it doesn't come out of the french press looking like Guinness as so many store bought coffees do. Highly recommend. great coffee any way you do it . I ;ove this PERUVIAN COFFEE the most ! Fantastic cup of coffee with a chocolate nutty finish. I make this coffee using the pour over method and the result is outstanding. Very smooth with a chocolate and nutty flavor. Best coffee I've had in a long time. Best coffee I have had. It's organic as well. Awesome! We grind it fresh daily and brew in a french press! Peruvian coffee has, for me, the right balance. Smooth and sweet taste. Awesome organic coffee. The best coffee that Boca Java sells. This is really great stuff. I have been searching for the perfect coffee for years, until I found the pure Peruvian organic coffee and now I do not drink any other type, one thing I like about it is, the coffee beans are organic and you are not putting all that other chemicals inside of you body, Sure it might cost alittle more but it's worth it, because the taste Is so creamy and smooth, you don't even need to add creamer. use the product in an expresso machine .. but usinworks well great flavorg 8-10 oz water . We drank it plain and also mixed it with the Pumpkin Spice to increase the depth of the Pumpkin Spice. Delicious! Rotate this with a couple of other favorite coffees during the week. Have really come to appreciate this coffee. This coffee is great to share with friends (or not - it is so good)! The best smooth coffee ever. Delicious with a hint of sweetness. FOR ME THIS IS A VERY GOOD COFFEE. I drink this from sun up to sun down. After 6:00 P.M. I enjoy Bocajava favored cpffee I like to many to list. This is my favorite coffee! JUST MAKES A GOOD TASTING COFFEE.